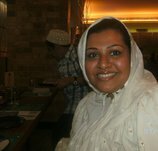 Farida H. Bharmal is a handwriting expert based at Bangalore, INDIA. This is quite an interesting avenue where our personality is identified by analyzing our handwriting. Not only that but we can even change our handwriting to change our personality and life. It is also called as Grapho-Therapy. Life is very uncertain in many things. We never know that what will affect it in what way. These days, we do see people attending different kinds of self-help seminars to get motivated and to add a better meaning to life. There are many ways to this in addition to attending such seminars, such as going to yoga shibirs, doing brain-storming with an expert, reading inspiring stuffs, past life regression etc. which brings awareness to our existence. Handwriting Analysis is one such new avenue which helps to bring awareness about ourself. We had a very fine conversation with Farida on this topic. She has provided very meaningful answers, which I believe will be helpful to those who are curious about this subject. How were you introduced to the world of Handwriting Analysis and Grapho-Therapy? Change is the only thing constant in life Devang and I always felt unsatisfied when I looked at my writing. I wanted o change it and to do that kept copying anyone’s handwriting that caught my fancy (which is very harmful as you also incorporate their personality traits in your writing.) As they say, if you want something bad enough, it will appear eventually and that’s what happened in my case. I was attending a seminar on “Empowering Yourself” when one of the participants in my group started speaking about Handwriting Analysis. I made further investigation and joined Bart Baggetts Certification course. I have read extensively on this topic so far and have books by many authors. What is the real science behind Handwriting? Handwriting is not handwriting at all Devang! It is Mind Writing!! It has the ability to dig out your deepest emotions, strengths, weaknesses, likes, dislikes and much more. The sheet of paper is the world of the writer and they end up writing their autobiography on it every time the pen strikes the paper. The slant, margins, pressure, strokes all revel something to the Graphologist. For instance 30 children are thought in a class by one teacher to write in a particular manner, however when you go and check, all their writings will be different, why? Because all their personalities are different and that will show up in their writing as well. How can people change their life for a better meaning through Grapho-therapy? In other words, for whom the handwriting analysis is required for what purpose? Grapho -therapy means to change your handwriting scientifically in order to change your personality. This can happen because we have neuro muscular movements in our mind and every time we write a new pathway is being formed. Hence to cut the long story short, imagine that you are traveling in a train from Mumbai to Rajkot, after finishing your job, the same train will bring you back to your Original destination (Mumbai) right, and similarly the hand is connected to your brain and your brain to your hand. Changing your writing in the scientific manner will have an impact on your sub-conscious mind and when you keep on repeating these traits it will change your personality as well. Tell us about your so far experiences with people whose handwritings you have analyzed. 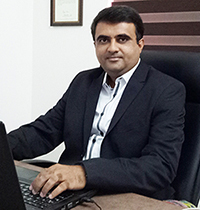 I have been in this field for the past 5 years Devang and as soon as people hear I am a Handwriting Analyst, they want to get themselves analyzed. I have found that people who we may know for many years, will not be that close, until I give them an analysis and suddenly I turn into their friend and guide. It is always a good feeling when people remember you and come back to know more. I have many such incidents; one which I remember is with my doctor who I had been seeing for 2 years and very professional and intelligent lady. But our relationship changed from doctor-patient as soon as I gave her an analysis. Such is the power of this wonderful life changing science. How sure is your technique of handwriting analysis? I mean, what is the ratio of your analysis being true about a person when you observe his/her handwritings? Every handwriting is unique Devang, the same way as every figure print is. The only person who can tell you how accurate you are is the person whose handwriting you are analyzing. After finishing the analysis I ask for the feedback. It’s the bread, butter and jam of my business because it helps me be on the right track as well. As far as analyzing handwriting is considered I look at all the aspects of handwriting, macro, micro, space, and signature and so on. Any other special message you would like to share with the readers of SpeakBindas? I am very happy to be able to share what I know with the avid readers of Speak Bindas. Handwriting analysis is a very interesting topic, and can be learned or practiced by big and small, man or woman. If you are someone who wants to change something in your life for the better, Handwriting Analysis gives you that platform. It helps you transform yourself and that to with your own handwriting by means of Grapho-Therapy. All you need to do is believe that it is possible and practice what has been thought. It is very easy to do and will take only 15-20 minutes of your precious time. It has to be done consistently for a period of 40 days. You may visit my website blog for gaining more insight on this subject. Books and course on Grapho Therapy are available; you may contact me on faridahbharmal@gmail.com for any doubts or queries you may have. Special thanks to Bharat Dudakia for suggesting her name to SpeakBindas for an interview. This was an interesting article, I really dont knew about GraphoTherapy before reading this article. I would surely give it a try if it helps enhance my personality even more. Self development is getting more and more inevitable these days. Thanks to Farida Bharmal and Devang. 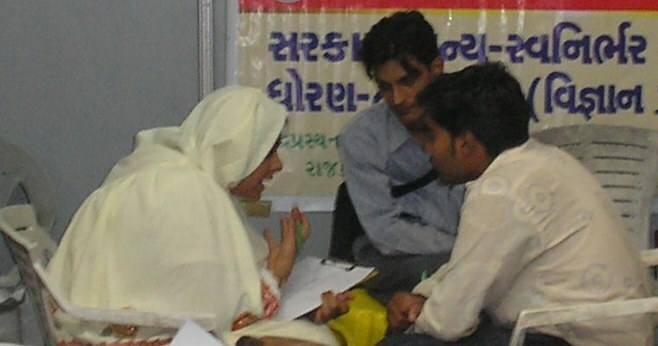 Is there any person in Rajkot giving course/sessions on GraphoTheraphy?? I am glad you liked our effort. I am not aware about any person who may be active in this field from Rajkot. But we may request Farida H. Bharmal to organize a seminar & workshop in future at Rajkot. I will keep you updated of any concrete progress made.